The Bangla blogosphere and Bangladeshi Facebook users are infuriated with protests as 'Avro', a freeware and one of the popular and widely used Bangla input systems, was accused as a pirated version of another popular Bangla input system 'Bijoy' and the Avro team was mentioned as hackers. It may be mentioned here that Bangladesh saw more than 20 proprietary Bangla input software from 1984 to 2002 and the most popular of them was Mustafa Jabbar's Bijoy during those days. Many developers worked on its various versions. But the real boost in Bangla computing came when in 2003 Mehdi Hasan, a Bangladeshi medical student developed Avro, a free but closed source graphic keyboard layout changer, using Unicode which was further developed during last six years by Mehdi and his friends Rifatunnabi, Tanvin Islam Siam, Ryan Kamal, Shabab Mustafa and Nipun Haq. While Bijoy is a ASCII based proprietary Bangla input system software and is sold in exchange of license fees, Avro on the other hand is an Unicode based freeware which has in fact four input system with four keyboard layouts - Avro Phonetic, Bornona, National (Jatiyo) and UniBijoy. The Avro phonetic (or transliteration) input system is the most popular and widely used - especially by the diaspora who do not have access to a physical Bangla keyboard. Using the Avro phonetic transliteration system they can generate Bangla words from Roman typefaces with ease. I say again, this point does not stand out. Bijoy is a closed source program. Avro cannot be developed from that source code. So how Bijoy was hacked to create Avro - I demand an explanation. Read his post for detailed explanations and peoples' supports in the comment section. Bangladeshi netizens are showing their support towards Avro in Facebook and blogs. It is unforeseen that three Bangla blogging platforms Sachalayatan, Amar Blog and Amar Bondhu had changed their banner to Avro Logo to show their support in protesting Mr. Jabbar's claims. Without knowing much about the dispute the comments by some supporters seem typical of Bangladeshis - emotion without logic. As a software developer I support the right of software writers to make money from their software. Everytime someone writes a book in Bangla they are profiting from the Bengali language. Yes, Avro had a better business model (perhaps - if its intent was market share) and it succeeded over Bijoy. But shame on those who are against a software developer from making a profit from his product. Mezba, The main issue is not about software or literature which are intellectual properties. The debate is that Mr. Jabbar has copyrighted his Bijoy keyboard which was designed from the old Munir keyboard layout. Mr. Munir did not want any copyright for that. 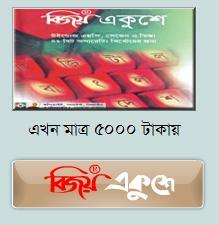 There are more than 20 recognised Bangla keyboard layouts out there but only one is copyrighted. In 2006 I bought a Bangla keyboard for Tk. 250 which was similar to Bijoy but not quite. 2009 when I wanted to buy a thin one for portable use (which I saw in a relative's house) I found that it was out of market. When I inquired about it they said now every keyboard has to have a logo of Bijoy (and pay Mr. Jabbar)- because Bangla keyboard is copyrighted. Then I bought a Big size keyboard with Bijoy logo on it with Tk. 430 (some are more costly which comes with the Bijoy cd). I do not use Bijoy input system but different systems - like UniBjioy, Somewherein Unijoy or sometimes phonetic. The layouts I use are all different from Bijoy. So why should I buy Bijoy keyboard and pay Mr. Jabbar? Unfortunately we have let him profit out of our ignorance. In India iNSCRIPT is the only standard for all the Indic languages. But you cannot find one single keyboard with iNSCRIPT printed on them by default and nobody claims royalty for it. I have nothing against Bijoy. Those who wants to use it (especially the printing industry) can of course use it. But its about freedom to choose. Why the shops in Bangladesh cannot sell Bangla keyboards which are a little different from Bijoy layout? Christopher Latham Sholes created Qwerty keyboard in 1840. How would you feel when one day somebody comes and patent it and all other deviations of keyborads (QWERTZ) etc are not available? Now do those comments from supporters sound the same as before? If you look at business context - its not about business models. Its about product life cycle. Bijoy is in a declining phase. It should now diversify or make new innovations to match growing demands - (like typing Bangla in Facebook using Linux). Instead Mr. Jabbar is trying to monopolize the market with unethical means. Logically even one key change constitutes a different keyboard layout. So you can have thousands of combinations -Mr. Jabbar only has right to his specific Bijoy layout. He has decided to intimidate the Avro team by naming them hackers (if it was US he would have been sued for baseless allegations) and terming Avro as pirated. Avro never had a business model from what I fathom. It is just another option, never was set to defeat Bijoy. If you got the idea that people are rallying against software developers making a profit from their product, then either you read it wrong or you read one of those few people's comment who are on the wrong track. The issue here is about Mr. Jabbar trying to make a profit by placing baseless allegations against Avro solely because of his loss due to having a free software out there that can compete (but was never created to 'compete') his product. He is using his connections and his image to establish a lie for profit. This behaviour is clearly unethical both from a business and an engineering point of view. I stand for the motto : "Let Language be Free"
from my point of view Mr. Jabbar is solely responsible for that. it is because he was the incharge ICC of bangladesh that time (till today) and he used his power for unethical business.. he tried to push his bijoy to the world as the universal layout .. but didn't try to call the ICT Community to seat and hand over a a research basaed and quick to learn - easy to use type layout..
Rezwan, no argument against your points but I had issue with some of the comments - especially "Let Language be Free" - what does it even mean? Any Bangla keyboard made by anyone if not following the Bijoy model is not breaking Bijoy's layout as per my understanding of copyright. I think Bangladesh government need to step in and standardize one keyboard layout (like US 101) for the country - for which no individual will receive profit - we have none! I'll have to voice my support for avro. I'm a heavy computer and all along I never had the guts to type Bangla; Bijoy was sluggish and the keyboard was tough to learn. Now that there's a software out there that allows a layman like me to confidently write my one language, why should I be barred from using it? All I think is that Mr. Jabbar is daunted by the fact there's competitor out there threatening his monopoly and he is now resorting to baseless allegations to defame it. And even if it is about profit rather than ethics, why isn't the 'expert' of bangla keyboard layout trying to improve the Bijoy so that it would be worthwhile pay tk 5000 for license instead of getting a freeware? After all, isn't counter-competition how a reputable firm should behave. with my bijoy key board.